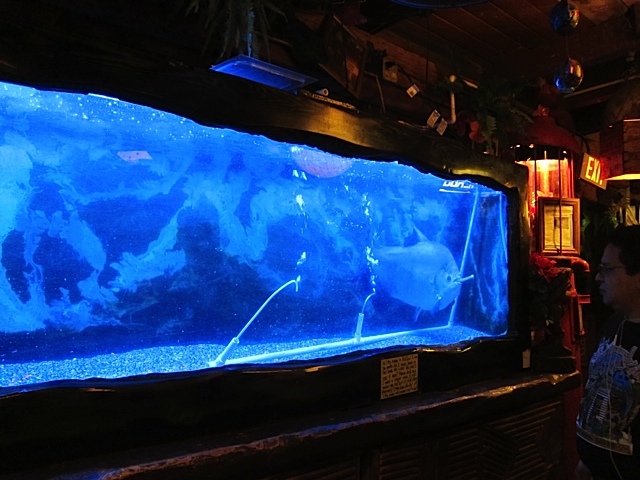 Rufus, the carrot-eating pacu, serves as Bahooka’s mascot. 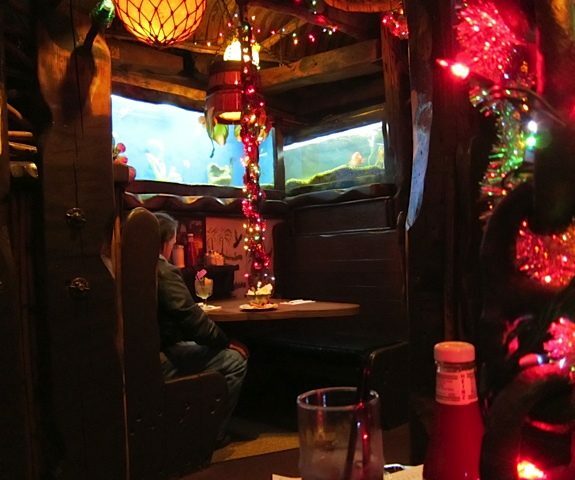 It is a very dark day for Southern California fans of tiki, Polynesian pop, flaming tropical drinks and giant carrot-eating fish. 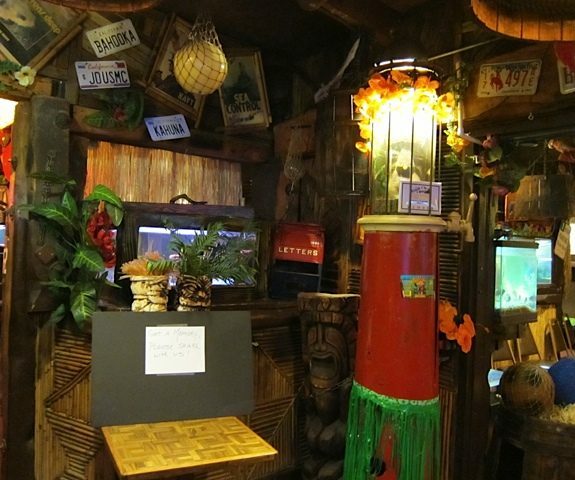 The mother of all thatched-hut-and-pina-colada restaurants closes its doors Sunday night, and no one seems to know for sure what will become of the place. 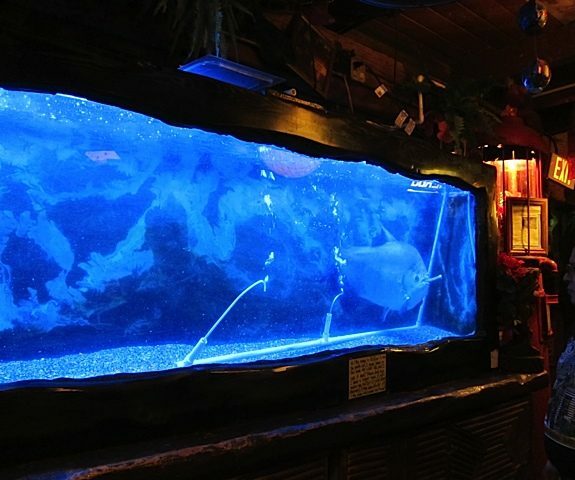 Gideon Brower visited Bahooka and filed this report. 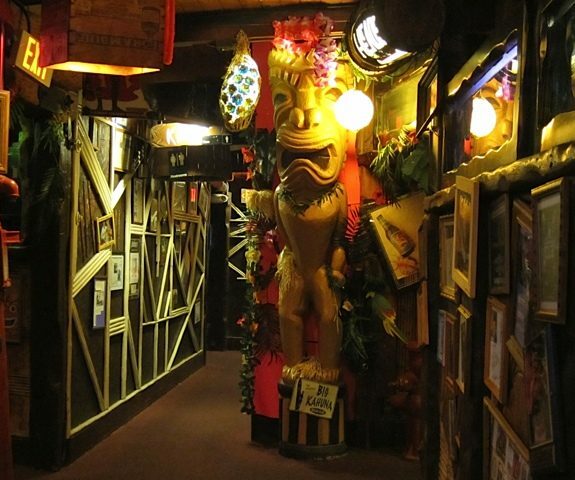 Now, sadly, Bahooka is going the way of other Tiki classics Kelbo’s – where Jack Fliegel mixed his first mai tais before creating his own variant on the theme — and the original Trader Vic’s location in the Beverly Hilton. 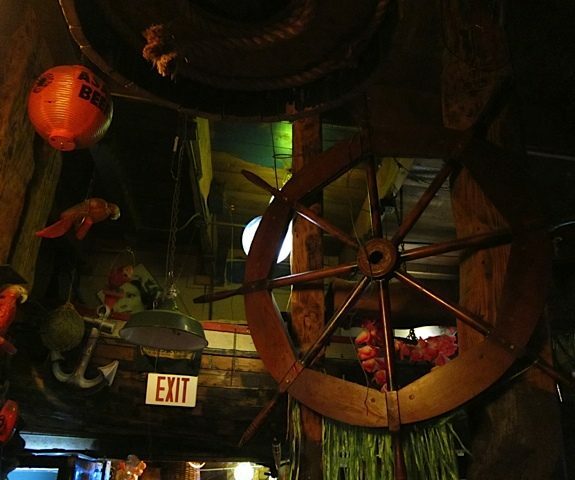 Restaurant manager and family member Darlene Fliegel tells me that with no third generation stepping up to take over operation of the restaurant, the family has simply decided that after 46 years it’s time to sail off into the tropical sunset. 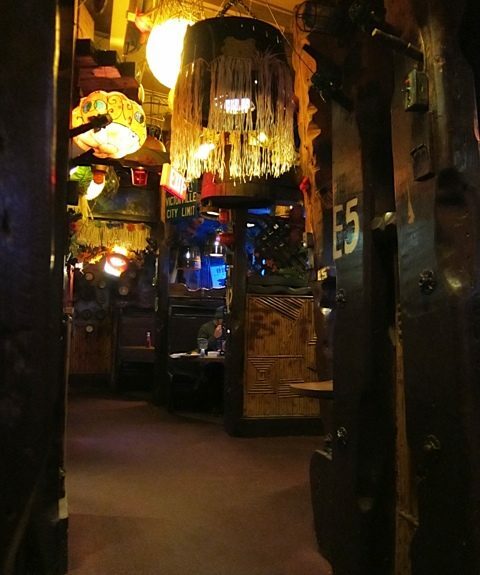 Initial reports were that Bahooka had been abruptly sold to a restaurateur with no interest in maintaining the décor, but Fliegel told me last week that the future of the one-of-a-kind interior remains in flux. Still, the sight of decorators and collectors making lists of items they hope to haul away doesn’t bode well for the integrity of the collection. 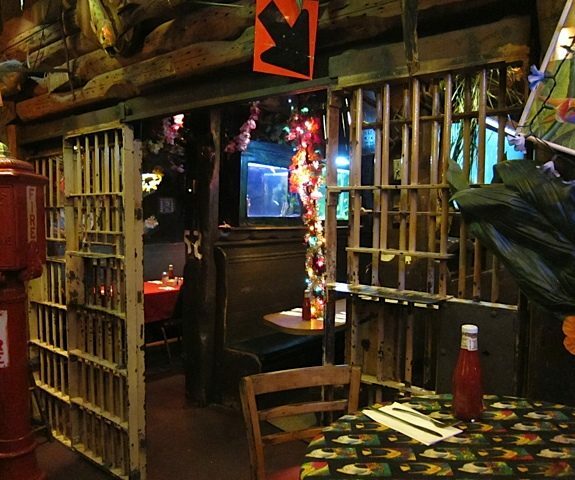 The restaurant’s last few weeks have been frantic, as dismayed patrons make a final pilgrimage. 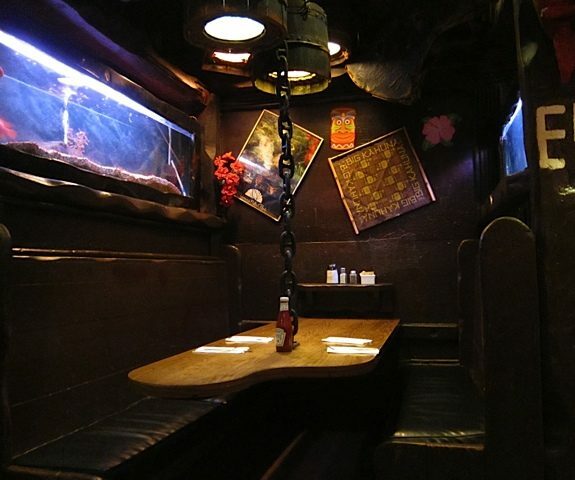 If you’re thinking of visiting during this last weekend, your chances of being seated are slim. 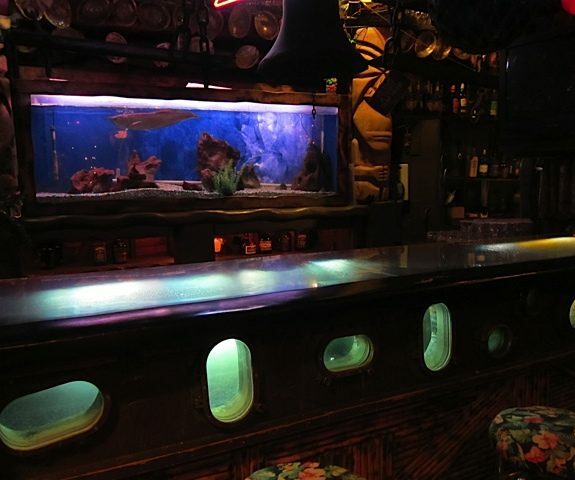 You might be able to sneak inside, though, to take in Bahooka’s atmosphere of perpetual twilight, its labyrinth of secluded booths and the cacophony of nautical debris bursting from the ceiling and walls. 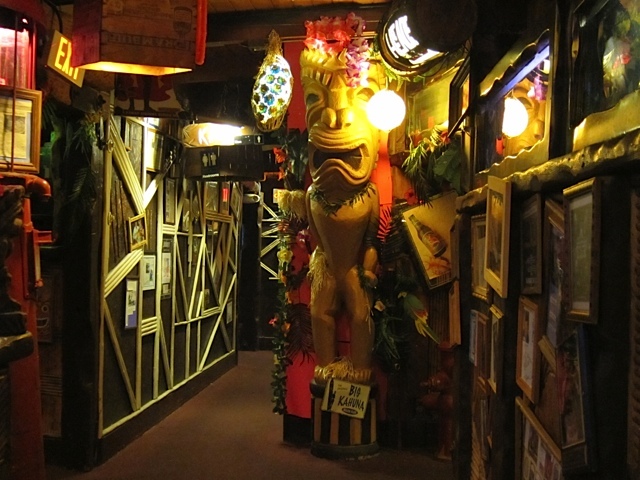 Look on the pictures, ye fans of tiki, and weep. 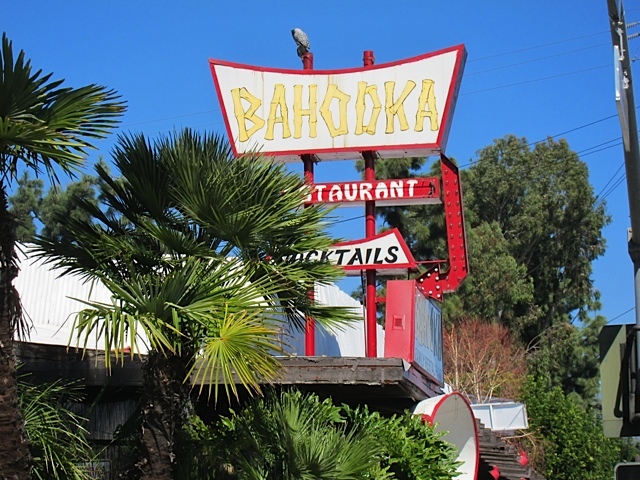 To get a sense of Bahooka’s place in LA history, I spoke to two Los Angeles architecture mavens, John English and Chris Nichols, both mainstays of the Los Angeles Conservancy’s Modern Committee who have attended far too many closing nights of beloved institutions like Bahooka. 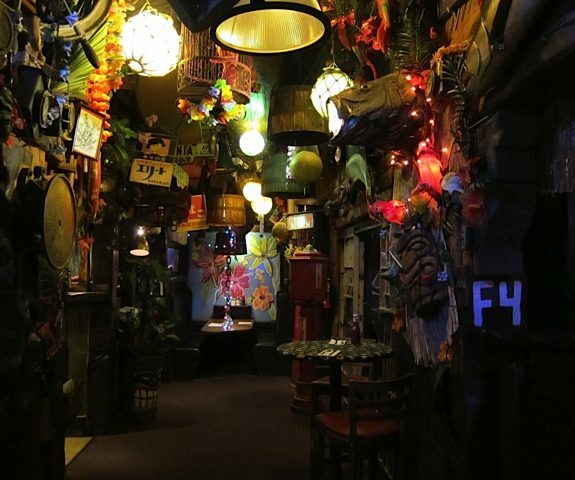 Bahooka is located at 4501 Rosemead Boulevard, Rosemead CA 91770. This story was produced as part of KCRW’s Independent Producer Project. 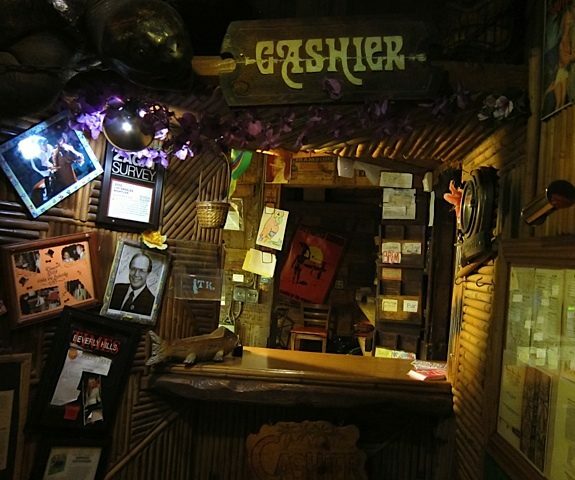 Gideon Brower is a writer and independent producer; see his slideshow of images below and catch his audio report about Bahooka, aired on Good Food.